After receiving the instruction from Shiva, to move for Arunachala, where Shiva has taken the form of Supreme Guru, and see there Gautum Mahrishi, for further purification and reuniting with Shiva , Parvati reached Arunachala from Kanchipuram. 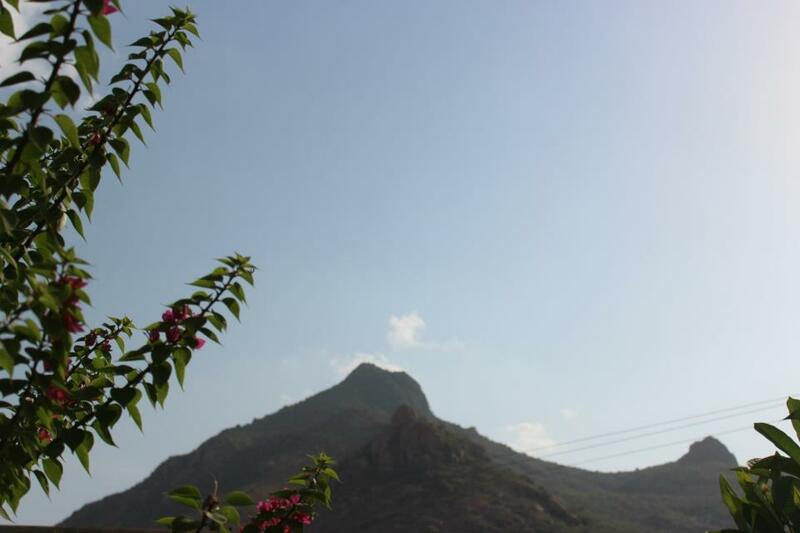 Arunachala the secret Kshetra of Siddhas and Gyanis , where Shiva has shown his form to Brahma and Visnu, as column of fire , is the house of many rishis at that time. Attri,Bhrigu, Bhardwaja, Kashyapa, Agnirasa , Kutsa and Gautama, all were performing penances and purifying themselves and also fulfilling there desires. They where all delighted by the presence of Parvati, and wanted to worship the Universal mother . However , as per instruction of Shiva , Gauri rushed to meet Gautama Maharishi, and wanted to know the path of his ashram from these rishis who had come to receive her in Arunachala. They showed him the path towards Gautuma Maharishi’s ashram. Maharishi at that point was not present on the Ashram, when Gauri arrived . He had gone to the forest to collect flowers and puja items . However , inmates of the ashram welcome “Mother of the Universe” and was delighted by her presence. Sometime after Gautuma Maharishi came and observed the ashram was full of divine light which is emanating from the aura of Universal Mother. Gautuma was delighted by the presence of divine mother, in his ashram and he immediately rushed and welcome Gauri, and worshipped her. Gauri told her about the reason of her visit of Gautama Maharishis ashram and Arunachala, also the instruction of Shiva . Gautama was again delighted, with the grace of Shiva towards his devotee, that he send the Universal Mother to get instruction from him. 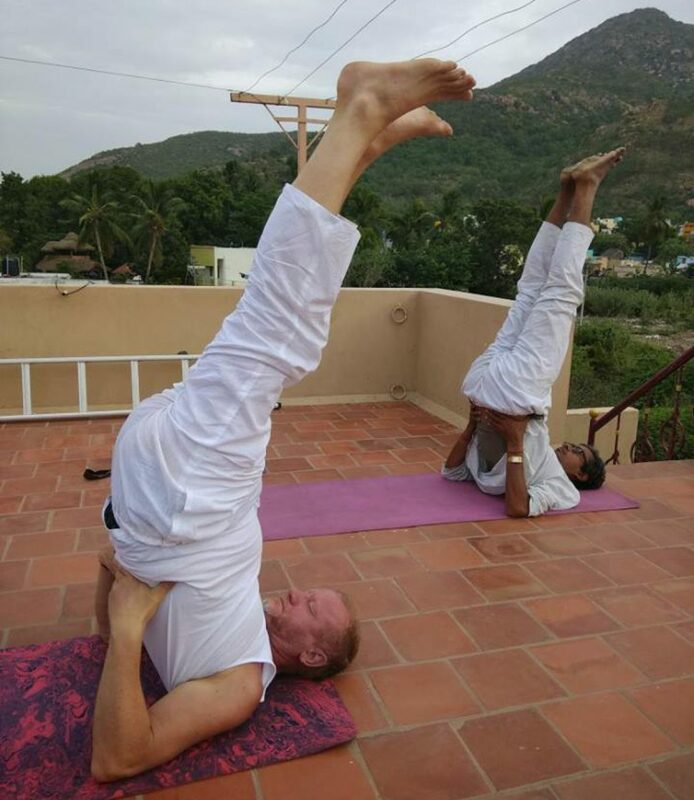 Today also the Gautuma Maharishi ashram is present very near of Surya lingam in Arunachala Girivalam path, and a year back there was a large function of Kumbha-abhishekam [ which happens after every 12 years in South Indian and Ashrams for spiritual purification] was performed in the ashram . Even these story, has a deeper meaning and it explains a very key advaitic phenomenon, of the movement of energy towards the consciousness, and making efforts for re-uniting with the pure consciousness, which is Shiva. And these path of turning the shakti opposite , and moving towards himself, [ towards the subject rather than the objective world] can only be guided by an Sage like Gautama. Even the Mother of Universe has to take instruction from a Sage only to liberate herself , because it is the sages only who are Gurus of liberation , and from time immemorial the sages have shown these path of liberation, to all kinds of being from human to animals to even gods and sometimes also to antidivine beings like Asuras and rakshas and liberated them from there painful and troubled life.